They gathered in the tens of thousands - presidents, prime ministers, royals, celebrities and ordinary South Africans - all united to say farewell to a man hailed as a global symbol of reconciliation. From President Barack Obama to Cuba's Raul Castro, praise came from all sides in a four-hour memorial service at Johannesburg FNB stadium for the revered statesman, who died Thursday at age 95. "We will never see the likes of Nelson Mandela again," Obama said in a speech to roaring cheers. In just over a day, rebels seized the Central African Republic's capital, forced the president out of the country and declared the nation had "opened a new page in its history." But no one knows what the next page will say. Rebels say their takeover opens a bath for peace and democracy. Yet questions abound over the future of impoverished, landlocked country - and what this uprising means for its 5.1 million residents. 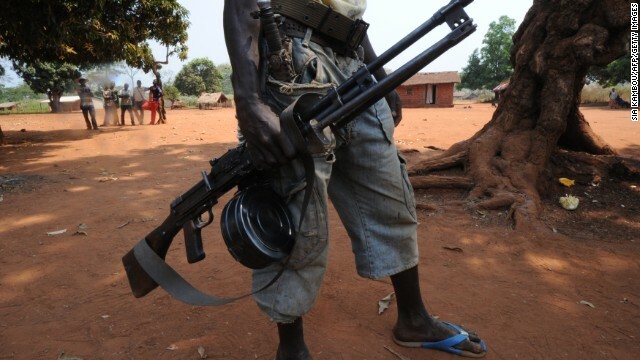 The brewing tensions between rebels and the government in the Central African Republic culminated Sunday with the sounds of gunfire the nation's capital. "We can hear gunfire, and it has been going on for about four hours," U.N. Spokeswoman Uwolowulakana Ikavi said from the U.N. compound in Bangui. "The shooting is apparently fierce. I can't tell if it is the rebels shooting or the government troops." The country has been on edge since rebel fighters pushed their way into the capital of Bangui and put the government to the brink. Kenyan police fired teargas Saturday to disperse supporters of Prime Minister Raila Odinga, who lost the presidential election and is expected to file a petition to challenge the poll outcome. The supporters gathered outside the supreme court in Nairobi, where he is expected to submit his challenge. 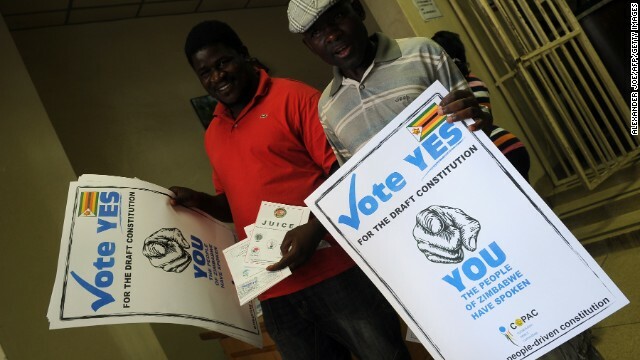 Zimbabweans voted Saturday for a key referendum on a new constitution that limits presidential terms for the first time in the African nation. Robert Mugabe, 89, has been in power for decades, first serving as prime minister in 1980 and taking over as president seven years later. "This is a Zimbabwean document to replace a British one. That is why I voted for it," said Babra Mheno, 34, a university student, referring to the nation's former colonial rulers. If approved, which is highly likely, the constitution will give more powers to the parliament and limit the president's. It also introduces a two-term limit of five years each for a president. (CNN) - French President Francois Hollande arrived in Mali on Saturday, where his nation's troops are battling Islamist militants alongside African forces. France is leading an offensive against militants it its former colony. The three-week ground and air campaign has sent militants who had seized the northern region fleeing into the vast desert. Hollande landed in Sevare accompanied by his defense and foreign ministers, CNN affiliate BFMTV reported. From there, he joined Malian interim President Dioncounda Traore for a visit to the fabled city of Timbuktu. French-led forces liberated the historical city this week after a yearlong grip by Islamist militants. With violence continuing in pockets of Egypt, President Mohamed Morsy on Sunday night invoked emergency powers by declaring curfews from 9 p.m. to 6 a.m. in Port Said, Ismailia and Suez. Germany will contribute two transport planes to the French-led military offensive against Islamist rebels in Mali, the German Defense Ministry announced Wednesday. Italy also is ready for "a logistical support operation" in the West African nation, Italian Foreign Minister Giulio Terzi said, according to the state-run ANSA news agency. Two rival communities armed with arrows and machetes clashed at dawn today, leaving 30 people dead in southeastern Kenya . 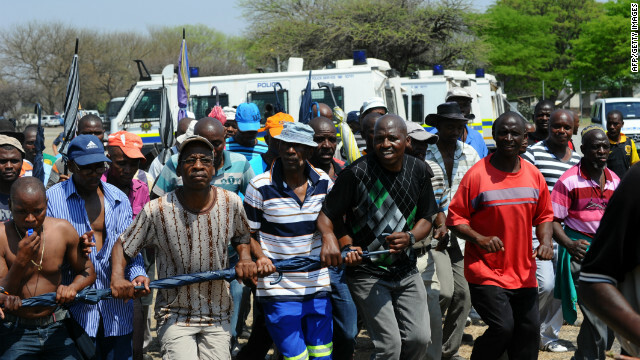 It's unclear what triggered the latest clashes, but the two groups have fought for years over grazing rights, land and water sources. The mother of Nigeria's finance minister has been released by her kidnappers, five days after she was seized from her home, Nigerian police said Friday. Kamene Okonjo is well and in good health, police spokesman Frank Mba told CNN. Mali's prime minister abruptly resigned Tuesday, announcing on state television that his entire cabinet was also stepping down. Cheick Modibo Diarra did not offer a reason for his decision, except for a vague statement that he solemnly delivered. "Our country Mali is going through the most difficult period in its history," he said. "During this time of crisis, the men and women of this country - uncertain of what is going to happen to their country - find themselves in an unfortunate situation. "That's why I, Sheikh Modibo Diarra, have resigned with all my government, on this day, Tuesday, 11 of December of 2012. I apologize to all of the Malian people who are suffering from this crisis in every way and at all levels. I thank all the members of the government as well as their contributors for their efforts on the economic front. I wish the next government best of luck." The development is another blow to the stability of a country once hailed as a model of democracy in Africa, but one derailed by a coup and an uprising of Islamist militants. Read more: What's behind the instability in Mali? A Kenyan police officer guards the house where the attack took place. Police knocked on the door in the middle of the night, giving whoever was inside a chance to open it. But the anti-terrorism squad had come prepared for a raid. When the militant suspect inside refused to let them in, the officers broke down the door - and were met by a grenade flying straight at them. 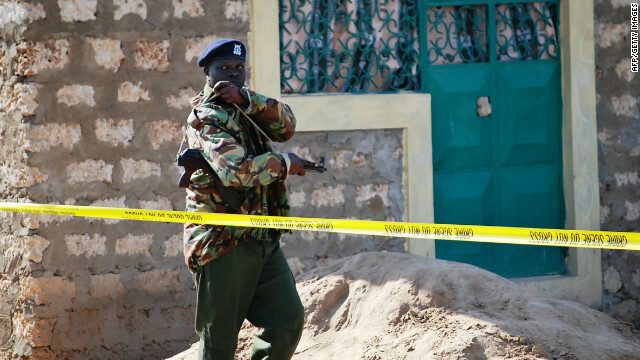 The blast injured three officers and killed a suspected criminal who had led them to the home in Mombasa, Kenya's second-largest city and a popular tourist destination. Police had arrested the suspect earlier, and got him to take them to what he said was a home containing an illegal weapons cache, according to regional police chief Aggrey Adoli. As the grenade exploded, police began shooting into the doorway, killing the suspected militant who had hurled the explosive at them. As he fell, he dropped a second grenade he'd been holding. That blast injured five policemen - one of whom who later died due to his injuries. Inside the house, police recovered two more grenades, a pistol, and 15 rounds of ammunition, Adoli said. The suspects - both the one who took police to the home and the one who pitched the grenade at them - had no identity cards, Adoli said. "We cannot rule out that they are enemies from Al-Shabaab who were planning an attack following the fall of Kismayo” in neighboring Somalia, he added. The al Qaeda-linked militant group Al-Shabaab is trying to overthrow the Somali government, and has also been blamed for violence in Kenya. Flooding in Cameroon's Far North Region has killed nearly 30 people and affected more than 26,000 others, officials said Monday. More than 4,000 people in the Logone and Shari division were displaced, and more than 22,000 people in the region of Maga, Mayo-Danay division, also have been affected. Communication Minister Issa Tchiroma Bakary described the flooding as "a calamity," and he called for urgent action to save lives, livestock and property. Dana FM, a local radio station, said the death toll will grow as bodies are collected and identified. For the past few weeks, there has been no sign of the flood easing. The floodwaters have submerged areas like Benoue, Faro, Louti and Mayo. Homes, crops and barns have been destroyed and herds of livestock killed. Heavy rainfall that has lasted nearly a month has fractured the Lagdo Dam, causing the Benoe River to flood nearby villages.